Only 31 in stock. Additional quantities will deliver at a later date. 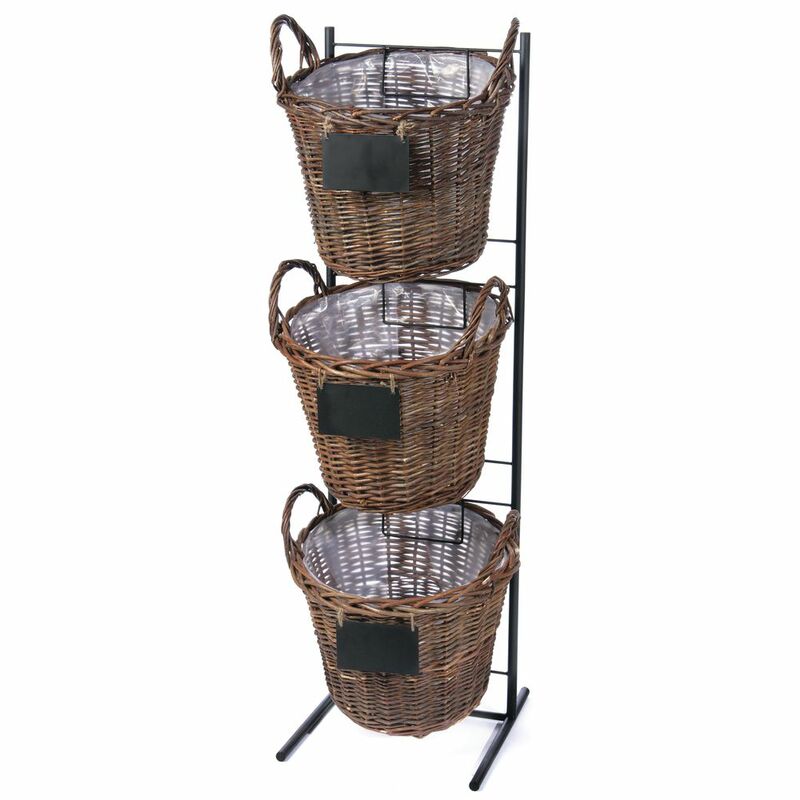 This basket display stand features three natural colored baskets with plastic sewn-in liners that can easily be removed. The black metal frame offers stability and long-lasting durability. This basket display stand includes chalkboard like signs for displaying product information.